Read and understand why a powerful smartphone like the #Samsung Galaxy J7 (#GalaxyJ7) suddenly started to show up the error “Unfortunately, Contacts has stopped” without apparent reason and learn how to troubleshoot your device in case this problem happens to you. The error message “Unfortunately, Contacts has stopped” is one of the most common app-related problems even with the previous Galaxy models. In fact, we’ve received quite a lot of complaints about the same issue from Galaxy S3 and S5 owners before. 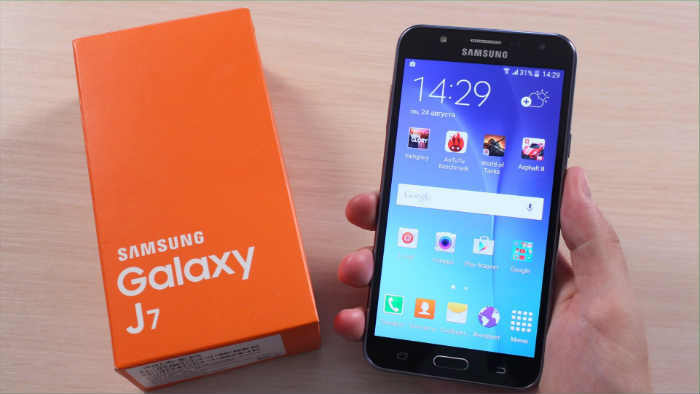 In this post, I will tackle the same problem but this time it’s with the Samsung Galaxy J7, which has been released in 2016. It’s a mid-range phone and it actually got really positive reviews from users performance- and specs-wise. However, problems still occur even with high-end devices and that’s the reason why we published posts like this. So, if you got yourself a Galaxy J7 and are currently experiencing a similar problem, continue reading below as this troubleshooting guide may be able to help you fix the issue with your phone. However, if you found this post while trying to find a solution to a totally different problem, then I suggest you visit our troubleshooting page for we have already addressed some of the most common issues reported by our readers. Find ones that are similar with yours and use the solutions or troubleshooting guides we suggested. If they don’t work for you or if you need further assistance, then contact us by completing our Android issues questionnaire. Just provide us with the information we need and we’ll help you find a solution. Problem: Hi guys! I got myself a new Galaxy J7 for Christmas and I’m quite satisfied with it except for one thing–every time I try to view or dial a contact on my contacts list, an error message would pop up saying “Unfortunately, Contacts has stopped” and I can only hit OK or REPORT but either way, the app closes and won’t allow me to dial a number. It’s been working great last week without any problem but the problem started out of the blue. I am sure it’s not due to liquid or physical damage ‘coz I’ve always taken care of it that’s I’m quite perplexed when it started to act this way. Can you guys help me out how to figure this one out? Thanks. Glitches in both the firmware and the hardware happen all the time and they often occur without apparent warning or cause but as long as they’re simply glitches, they can easily be fixed. A reboot is necessary to determine if the error message is triggered by a glitch. Therefore, try to reboot your phone and one reboot doesn’t return a favorable result, try to reboot one more time. This problem has been happening with other owners of the Galaxy devices way before the Galaxy J7 was released and many of our readers reported back saying a simple reboot fixed their problems. So, don’t go to other troubleshooting procedures without doing this first. However, if the issue persists after a couple of reboots, then it’s time to move on to other effective troubleshooting steps. Power off your Galaxy J7. Press and hold the Power key, tap Power off and then touch POWER OFF to confirm. Error still occurs in safe mode – in this case, the problem might be rooted in the firmware or some pre-installed apps. Should you decide to troubleshoot the apps first, you need to find those that are directly linked with the app in question. For instance, if the error occurs when you try to dial a phone number, you may have to reset the Contacts app first and then the Dialer. By reset I mean clearing their caches and data. If the problem remains, then proceed to the next troubleshooting steps below. Error doesn’t show up in safe mode – this confirms our suspicion that one or some of your third-party apps is causing the problem. You need to find the culprits and you can try clearing their cache and data to reset them, however, if the problem still persists after that, uninstalling those apps might make a difference, although there’s no guarantee so you still need to observe your phone a little longer. The phone will reboot longer than usual and once it has successfully rebooted, try opening the Phone or Contacts app again to see if the problem still occurs. If so, then it’s time to go into a more serious, system-oriented troubleshooting method. Turn off your Galaxy J7. Press and hold the Volume Up button and the Home key, then press and hold the Power key. For the error “Unfortunately, Contacts has stopped” a mere factory reset will fix the problem for you but then again there’s no guarantee. So after this and the problem remained, it’s time to have the phone checked by a technician. Keep in mind, even when you get a message contacts have stopped, you can still call from contacts, go to contacts instead of attempting to dial the number. Put all your numbers you may want to call in contacts just in case. When you get a software update it may knock out your visual voicemail, like when the half geeks do an update for a new phone. Wow Travis, it really worked!!! Awesome! Travis: you are brilliant. This fixed my “contacts stopped” message and it transferred over all of my contacts which were missing. I don’t understand why the t-mobile voice mail app was not pre-installed on my phone?? Your missing your visual voice mail app. Go to play store and get it, will fix it. Next time clear the visual voicemail cache, or delete and reinstall it. T-Mobile employees don’t know aquat. Your missing your visual voice mail app, go to play store and reinstall it. Don’t let an actual tmobile store employee touch it. After that it will be fixed and next time clear the visual voice mail app or delete it and reinstall it. I’ve had my Galaxy J7 since August 2016 and has pretty much worked quite satisfactorily until March 2017. I’ve learn how to clear the storage cache, but it’s beginning to be a hassle because I have to do it frequently. Why is the data cache filling up so rapidly? Does it have to do with video calling? Everytime I clear the storage data/cache, I get a message about T-Mobile’s video calling. I turned off video calling to determine if I don’t anymore get the infamous “Unfortunately, Contacts has stopped” error message. Pandora-Fairy Tale Live Wallpaper-Country Music Ringtones-The Weather Channel-Talking Translator-Bowling. Is It a glitch or virus.